This fall I’m heading to my first writing conference, the Western PA regional conference for the Society of Children’s Book Writers and Illustrators (SCBWI). This conference is in Pittsburgh so I will be able to ease into it without the stress of travel and being in a strange city. But in February 2014 I’ll be heading to my second writing conference, the big SCBWI conference in New York City. 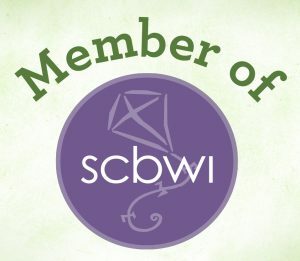 As a member of the SCBWI, I have access to a really excellent local critique group. One of the other members in this local critique group recently went to her first writing conference. I asked her what she learned after this first one, and her advice and insights were so excellent I felt I had to share them here with you! I attended the Northern Ohio SCBWI Conference in Cleveland. I was excited and nervous and secretly looking forward to a break from my usual weekend routine of kids and running them around! I am a creature of habit so once I found a table to sit at for dinner, I went back again for lunch the next day. I wouldn’t do this again, it is better to mingle and try and meet more people. If you click with someone ask them what sessions they went to and what they learned. Also, what sessions they are going to and have them report back in. I had a hard time picking what I should be attending, so this was nice, it gave me a clue to what I was missing out on (you can’t do it all!) and let me share what I learned with others, helping commit it to memory. It is a bit of an information overload. If you are going with a writing group I would try and structure it so you cover as many workshops as possible and debrief each other later. Alas, I was by myself! Ask others how their critiques went, I had a couple random people let me read theirs. It is helpful, even if you don’t know the whole context of the story. Before attending write what your story / stories are about in three short sentences. This will help you be concise if asked by someone what you are working on or what you have written. Plus, you sound more professional. I would also pay better attention to who the keynote speakers are when signing up for workshops. The agents and editors present were all keynote speakers and I had also signed up for sessions with them. This was good and bad. Good, because I got to know them better. Bad, because some of the information from their workshops was a bit redundant with their keynote addresses. In the future I think this would help me pick between two workshops I really wanted to attend. Another interesting note is both the agents ended up attending one of the workshops an editor gave that I signed up for. Makes total sense now that they might do this and it also provides another opportunity to sit next to an agent and get to know them. Final thought – it was really exhausting! I was surprised how tired I was. You get so much info and at the same time are thinking about your stories and what you need to do. It sets your mind is spinning. It is fabulous and inspirational. OK – that’s it, hope you find it helpful!